We have a very exciting exclusive rumor for you guys today! This isn't specifically Samsung related, but it does talk about the next iteration of Android, so it bears reporting here. We have some unconfirmed intel from within Motorola. A leaked datasheet seems to confirm that Android 4.2.2 will indeed be "Key Lime Pie." Additionally, this info also includes a timeline of Android 4.2.2/KLP upgrade dates for several Motorola devices. Finally, this same list seems to showcase a brand new Motorola RAZR device that we have not heard anything about called the Droid RAZR X. Of course, all of this is completely unconfirmed, and could be fabricated, so take it with a dose of skepticism. Don't forget to include a healthy dose of enthusiasm too, though. If this turns out to be true, then next year is certainly going to be very interesting! What do you guys think? Plausible or fabricated? We will obviously reach out to our sources on this one, and share any details we find. In the mean-time, let the speculation commence! Also, shout out a hearty cheers and thanks to to our amazing anonymous insider tipster! Last edited by dgstorm; Today at 12:18 PM. 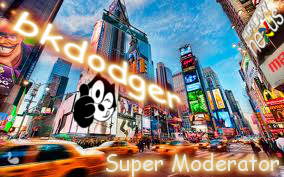 Last edited by bkdodger; 10-24-2012 at 10:29 AM. 4.2.2 is KLP? So what about 4.2.1? Also the Razr I already exists, is the one with the intel chip. I'm intrigued by the idea of the 2Ghz core, but I've read that some apps are not compatible. I'm also intrigued about the key lime pie, because they announced JB a couple of months ago, isn't it too fast for the new version? Yeah seems fast but possibly by the time the devices get it end of next year it won't be too soon..
by the time the devices get it end of next year it won't be too soon..
Well, I get a leaked version of JB 1 day after the I/O conference, it's one of the things that I love about the android community. I'm right there with ya... We wait for nothing! Android community can't be matched..
Root, Roms And Themes...Oh My! New Member switching from Moto DX.